Breakfast is my favourite meal of the day. I'm sure we have all been listening to how breakfast is important, and to me really is. When I was younger, I loved to sleep in a little and just quickly bite something while running out the door. But now, I love to wake up early and have time to myself and prepare delicious breakfast and have that calm moment with my tea or coffee (depends on the mood of the day, some days just require coffee! :)). There is so many delicious stuff you can make for breakfast, to me the best is to use fresh vegetables like zucchini or cherry tomato. So on this photo...well it happened really fast. My morning ritual consists of checking Instagram (bad habit) before anything else. 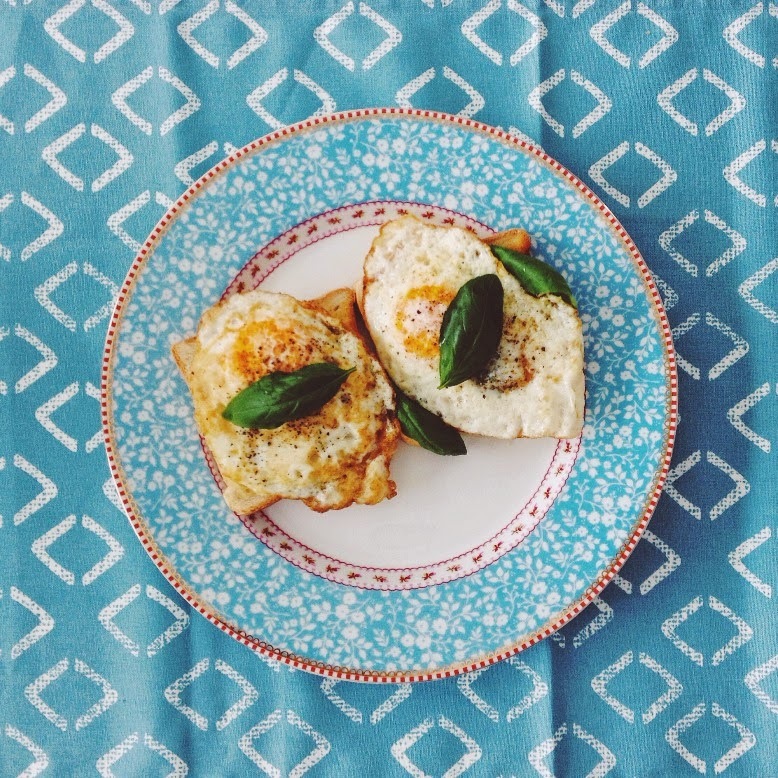 And I stumbled across this pretty photo of eggs on toast and I immediately knew this is something I want to do today for breakfast. And I did. 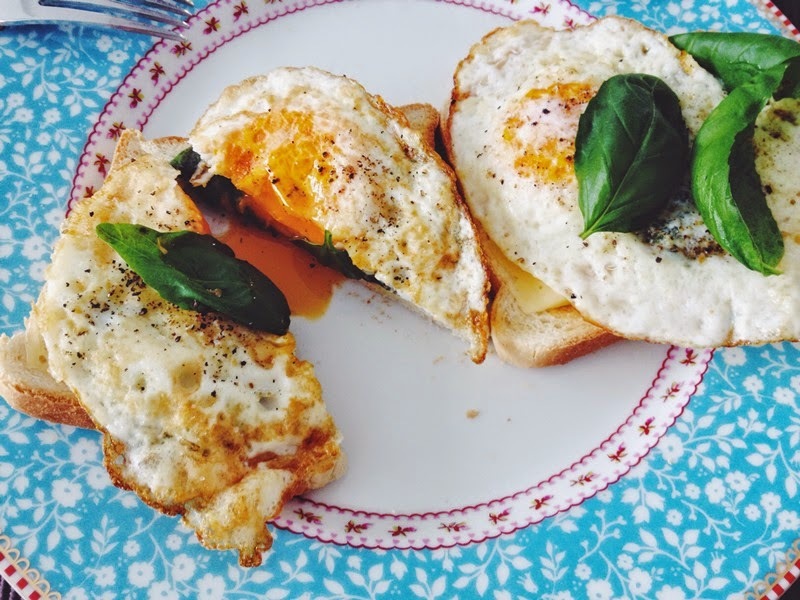 I baked two eggs on both sides and seasoned it with salt and pepper, put two toasts in the toaster, picked some fresh basil leaves and cut two slices of cheese. And then put all of the things together. 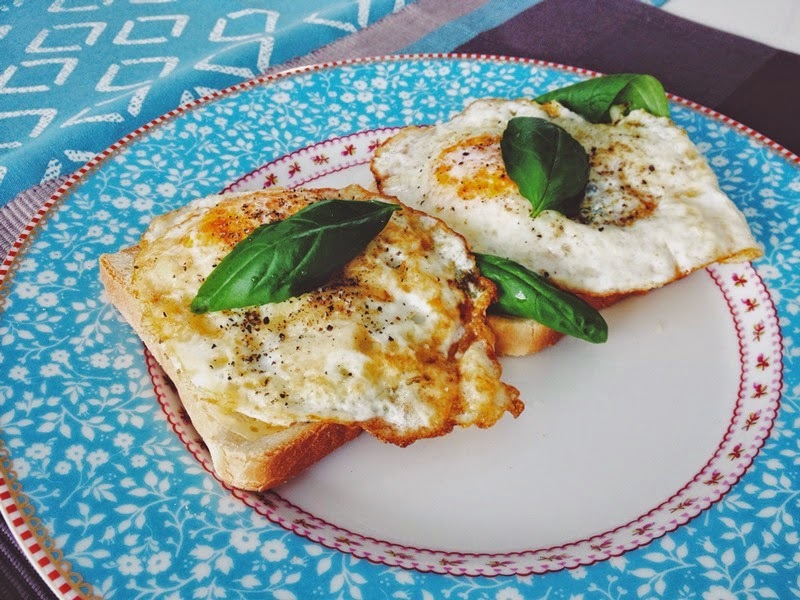 Toast, cheese, basil and eggs on top. That's it! So delicious, you have to try it. Next time I will also add some turmeric, it gives eggs delicious taste.